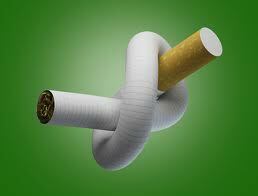 If you are trying to reduce or quit smoking it may seem at times like an impossible battle. Try these tips to help meet your goal. 1. Take time to relax and reward yourself with healthy, pleasurable ac­tivities like hot baths, walking in parks or by the water, or massage. 2. Self-massage to your hands may reduce craving and withdrawal symptoms. • Rub the palm and sides of the hand in circular motions. • Massage the fingers and bend them back gently. • Squeeze the webbing between the thumb and index finger for 30 seconds. 3. Both acupuncture and hypnosis has helped many people quit smok­ing. Ask for referrals to these professionals. 5. Regular exercise can also help you feel better by improving your circulation and releasing endorphins, the body’s natural “feel-good” hormones. 6. Many hospitals offer quit smoking classes and support groups that may help you quit or support you to resist the urge to start again. 7. Try this relaxation exercise. Close your eyes and tense all your muscles and then relax them as fully as possible. Inhale deeply, filling your lungs with air, then hold it. Slowly release the air from your lungs as you exhale and keep breathing out until you feel as if you can’t breathe out any more. While you do this let you arms fall by your side and let your chin fall onto your chest. Imagine that as you breathe out all the tension and stress is leaving your body from your fingers and your toes. Repeat this process three times. Repeat as often as you need while you are withdrawing from nicotine. 8. Don’t expect too much too fast. Turning around a nicotine addiction may take time, and good habits that will last your lifetime are often best developed gradually.